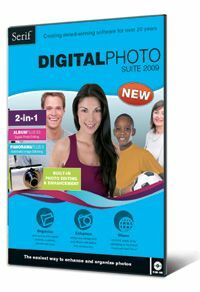 The Digital Photo Suite 2009 makes it simple to organize, enhance, and share photos. Combining the tagging and sorting features of Serif’s new AlbumPlus X3 with the image stitching of PanoramaPlus 3 and other one-click image editing tools, Digital Photo Suite enables teachers to create new and exciting projects with photos from class projects, trips and other school events. AlbumPlus X3 streamlines the process of searching a personal image library. The one-click enhancement tools also enables users to give portrait subjects quick makeovers. Adventure Jack and Jane are international explorers trying to recover rare artifacts from around the world. This adventure is the foundation of this typing tutor software, featuring more than 70 lessons, practices, and tests. “Tiki Bob” records student scores tracks their progress.